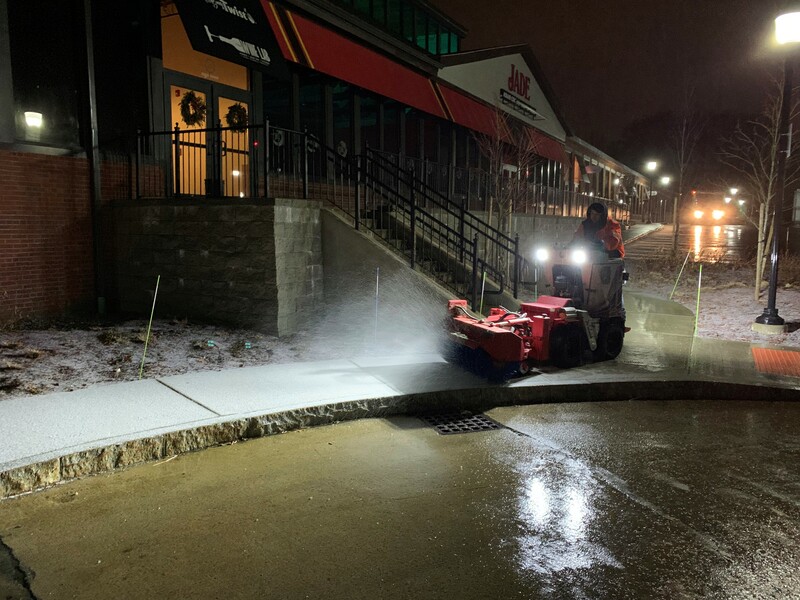 Mueskes Landscape and Snow Management has a large fleet of equipment and our team has extensive training and certifications to be sure your property is clear and safe all winter. Commercial snow plowing services are essential to the greater scope of snow management. We specialize in snow and ice management services during the winter, but we spend the rest of the year preparing. Our main focus is to keep customer properties safe and accessible. Our customers can sleep easy at night knowing that their property will be immaculate when they wake up. We use modern and reliable equipment operated by skilled and experienced crew members. Contracts can be structured to meet your needs (seasonal, per-inch or per-push). 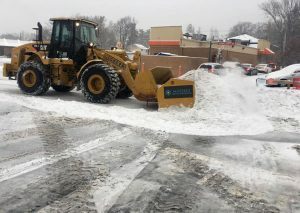 We also have the ability to provide emergency snow relocation and snow removal. 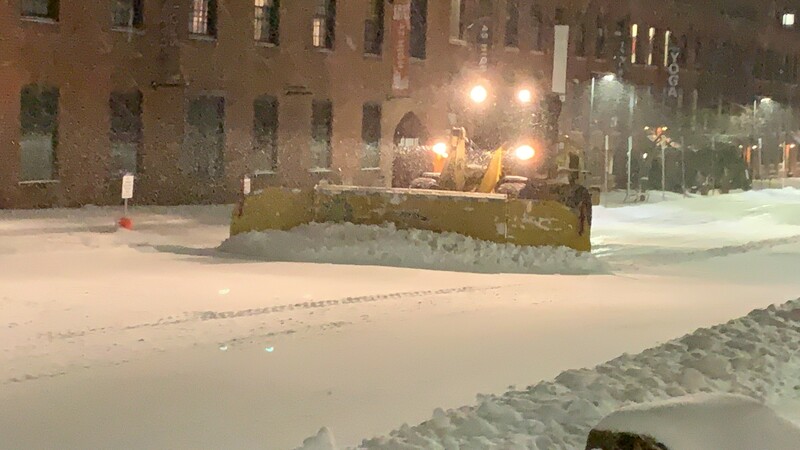 Dry materials are stocked in preparation for ice events and we can pretreat your drive lanes, parking lots and walkways well in advance of a storm. 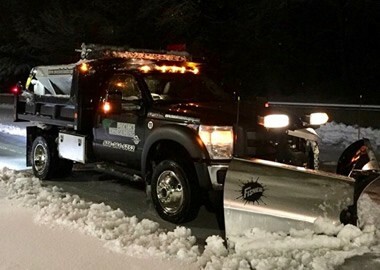 The commercial snow plowing team as Mueskes Landscape and Snow Management provides fast and reliable services throughout Northeast Massachusetts and Southern New Hampshire. Our team is focused on client service. They are responsible, very capable, and extremely careful. This service orientation gives customers the confidence of knowing that their work will always be of the highest priority.